Conwin Carbonic Company, Inc. warrants to the original purchaser that the product purchased is free of defects in materials and workmanship for 2-years from the date of purchase. This warranty does not apply if the product has been damaged by an accident, electrical fault, or through misuse, abuse, or normal wear and tear. 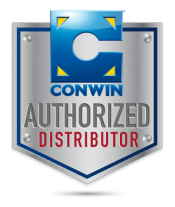 Conwin’s Product Warranty applies exclusively to Conwin manufactured products including: basic inflators, air inflators, digital inflators, remote systems, accessories, special effects, and safety equipment. Conwin’s products are manufactured according to a rigid code of quality standards. If defects in materials or workmanship occur within 2-years of the date of purchase Conwin will repair or replace the product at Conwin’s option. Customers are responsible for all shipping charges to Conwin for repairs, whether under warranty or not, including duties, VAT, and taxes. All shipping charges must be prepaid and items need to be properly insured. Conwin’s Product Warranty is non-transferable and does not cover defects resulting from normal wear and tear, damage incurred during shipping, accidents, alterations, neglect, improper or incorrectly performed maintenance or repairs, modifications, failure to follow instructions, misuse, fire, flood, or acts of God. Please view the FAQ section at ConwinOnline.com for more information. “Wear and tear” is damage that naturally occurs as a result of normal use. Regardless of how carefully you use and care for your Conwin product, service and maintenance will be required. Examples of “wear and tear” issues after 2-years in service that are not covered under Conwin’s Product Warranty include, but are not limited to the following components: timer board, solenoid, motor, foot pedal, overlay panel buttons, outlet extension tips, and O-rings. For warranty evaluations, please contact a Conwin Repair Technician. Conwin’s Product Warranty is given in lieu of all other warranties expressed or implied, written or oral. No employee, agent, dealer, distributor, or other person is authorized to give any warranties on behalf of Conwin Carbonic Company, Inc. Units that utilize replacement parts or components that are no longer manufactured by Conwin cannot be repaired. Conwin will not send a temporary unit or replacement unit until the unit in question has been received and inspected by Conwin’s Service & Repair Dept. nor will Conwin compensate the customer for loss of time, loss of use, inconvenience, property damage caused by a Conwin product, or any other incidental or consequential damages or expenses incurred by the customer due to use of or inability to use any Conwin product. Customers are responsible for all shipping charges to Conwin, whether the product is deemed to be under warranty or not, including duties, VAT, and taxes. 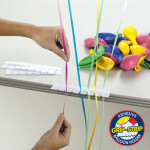 All shipping charges must be prepaid and items insured. Products under warranty will be shipped back to the customer by the most economical means available. If desired, expedited shipping is available at the full expense of the customer. Customers are responsible for shipping charges to and from Conwin for products not covered under warranty. Please view the FAQ section at ConwinOnline.com for more information. The Conwin Line of electrical inflators are precision instruments designed to operate under very specific conditions and are not intended for sale or use in all countries due to strong variances of electrical current and extreme climate conditions. We recommend that Conwin Electrical Inflators not be used in countries with sporadic, undetermined, excessive, or unregulated current flows. Conwin equipment used in any such country will not be warrantied or repaired. For a list of countries Conwin’s electric inflators are not approved for, please refer to the FAQ section at ConwinOnline.com. Visit ConwinOnline.com’s Service & Support Center for troubleshooting tips, replacement parts, instruction sheets, how-to videos, and more. If your product requires factory service, please complete the online Service and Repair request form to file your claim. What does product warranty mean? 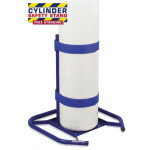 All Conwin products are covered under the Product Warranty, warranting the original owner that the product purchased was free of defects in material and workmanship as stipulated in the warranty.Although Conwin equipment is built to the highest standards your Dual Split-Second Sizer from 1995 may not survive to the year 2050. 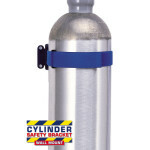 However we have heard from customers that they still use their original inflator they bought back in the 90s. Is normal wear and tear covered under the Product Warranty? Conwin’s Product Warranty covers manufacture defects in materials and workmanship, but it does not cover normal wear and tear. Wear and tear is damage that naturally and inevitably occurs as a result of normal use. Regardless of how carefully you use, or how well you care for your Conwin product, it will eventually begin to show age and wear. Common examples of wear and tear that would not be covered under Conwin’s Product Warranty include timer board failures after 2+ years in service, motor failures after 2+ years in service, sizing inconsistency after 2+ year in service, worn overlay panel buttons or foot pedals, and general breakdown of the materials over the years. For warranty evaluations, you must contact a Conwin Repair Technician first. If your product requires warranty evaluation or needs to be repaired, click here for shipping instructions. All shipping to Conwin must be pre-paid and insured. Is the Product Warranty transferable? Conwin’s Product Warranty is only valid to the original purchaser and is non-transferable to someone purchasing the product second-hand. We highly suggest you keep the original receipt of your purchase as it may be requested by a Conwin Repair Technician to validate the Product Warranty status. 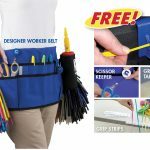 How do I get my product repaired? First you will want to visit our Service & Support section on ConwinOnline.com for troubleshooting tips to try and remedy the issue yourself. If you are unable to resolve the problem, contact Conwin’s Service & Repair Department for technical support. If the product needs to be sent in for repair, please follow the steps listed on our How to Receive Factory Service page. Once we receive the product for repair a Conwin Repair Technician will assess the issue and contact you within 5 business days. I bought my unit many years ago and it needs repair; is it covered under warranty? Conwin’s Product Warranty covers manufacture defects in materials and workmanship. Manufacture defects in materials and workmanship usually occur when a unit is new, issues that develop later or after a significant period of time are normally wear and tear or are the result of sustained damage or mis-use. For warranty evaluations, you must contact a Conwin Repair Technician first. If your product requires warranty evaluation or needs to be repaired, click here for shipping instructions. All shipping to Conwin must be pre-paid and insured. Rather than having my product repaired, will Conwin give me a brand new product? It is at Conwin’s discretion as to whether a product is repaired or replaced. For warranty evaluations, you must contact a Conwin Repair Technician first. If your product requires warranty evaluation or needs to be repaired, click here for shipping instructions. All shipping to Conwin must be pre-paid and insured. If my product needs service, will Conwin ship me a temporary unit in the meantime? We are not able to ship new units or loaners to customers without first inspecting the unit in question. We will do our best to repair and return your product as soon as possible as we understand your Conwin equipment is important to your business. Can I request my repair to be expedited? Unfortunately we can not expedite repair times. We place a top priority on repairing a customer’s product and understand you need your equipment ASAP. How long will it take for my Conwin product to be repaired? Repair times depend greatly on the type of the repair your product requires. Once your product arrives at Conwin’s facility a repair technician will contact you with a repair lead time. My product was damaged during shipping, will Conwin send me a new one or repair the product at no charge? Customers must report any damages incurred during shipping to the carrier. Conwin is not responsible for damages to any product during transit. First you will want to visit our Service & Support section on ConwinOnline.com for troubleshooting tips to try and remedy the issue yourself. If you are unable to resolve the problem contact Conwin’s Service & Repair Department for technical support. If the product needs to be sent in for repair, please follow the steps listed on our How to Receive Factory Service page. Once we receive the product for repair a Conwin Repair Technician will assess the issue and contact you within 5 business days. All shipping to Conwin must be pre-paid and insured. Conwin Electrical Inflators are not approved for sale or use in the following countries. Conwin Electrical Inflators sold or used in these countries are at the risk of the buyer and Conwin assumes no liability and all warranties are void. Have a question about your country? Contact Conwin for help. 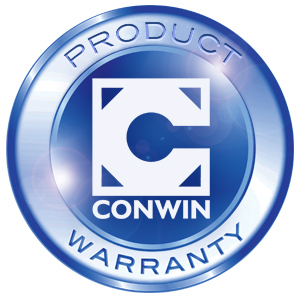 Have a question about Conwin’s Product Warranty?